A COLLECTION of teddy bears, flowers and delicately handwritten notes decorate the wall of a busy department store. 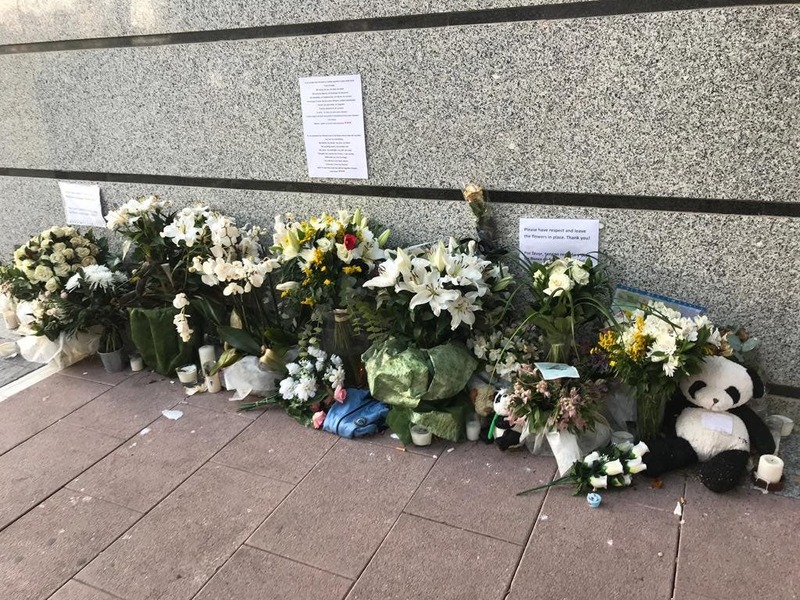 It’s hard to believe that one month ago a teenage boy took his own life by jumping from the fourth floor of El Corte Ingles in Puerto Banus, in an apparent suicide pact with his girlfriend. The untimely death of 16-year-old Brit Richard Fitzsimmons and the circumstances that surround it have rocked the coast and united many in grief. But the incident has encouraged many to take action by raising awareness about mental health in teenagers and, above all, try to break down the stigma that engulfs it. Aloha College, the private school Richard and his girlfriend, 14, attended, quickly activated a plan following his death and brought in a psychologist to talk to pupils. It also circulated emails advising parents to talk with their children about what had happened. In an open letter, the college described him as a ‘wonderful boy’ and offered their sincere condolences to his family. Although it is unknown what tragically drove the youngsters to suicide, unfortunately their story is not an unusual one. Suicide is the second leading cause of death in young people aged between 15 to 29 in Spain, following tumours, reveal national statistics. And growing numbers of teens killing themselves in the UK are sparking fresh concerns over the mental health crisis in young people in general. In 2017 there were 177 suicides among 15 to 19-year-olds, compared with 110 in 2010 – figures which have risen almost every year, according to the UK Office of National Statistics. 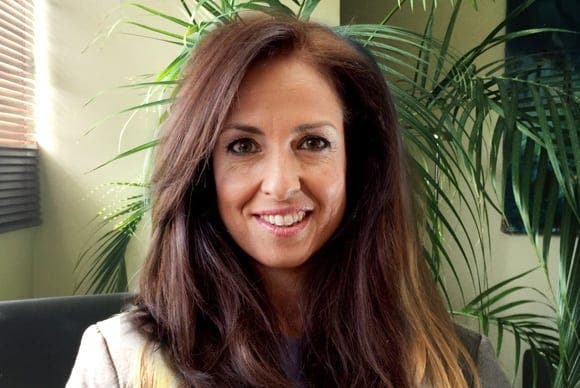 Depression and bipolar are the most common causes of suicide globally, followed by substance abuse, schizophrenia and anxiety disorders, says Marbella-based child psychologist Dr Alejandra Hallin. 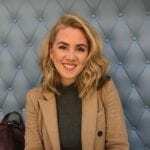 While Samaritans in Spain volunteer, Jilly Hodges, says exam pressure, gender issues and feeling like an outcast are the main reasons expat teens call the Costa del Sol helpline feeling suicidal. “Some have a lack of friends, or are unhappy having left their friends in the UK, or feel like an outsider especially in Spanish speaking schools,” the Costa del Sol-based Samaritan tells the Olive Press. Despite great advances in mental health awareness in recent years, why do so many still suffer in silence? Dr Hallin says the main problem with suicide is it is still considered taboo, despite it being the second leading cause of death in the world. “There are so many programmes and adverts teaching you what to do when someone has a heart attack or stroke, but there’s nothing about suicide,” the Harvard University doctor told the Olive Press. Dr Hallin, who owns mental health centres in Marbella, Sotogrande, Malaga, Gibraltar and Cadiz, believes the surge in depression is a reflection of a pressurised, stressed society and suicide is a consequence of ill-treated mental health. 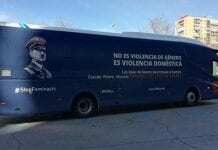 “The Spanish mental health system is problematic, unless you are dying they won’t see you – that’s a luxury they cannot afford. They don’t have enough resources. Moving to another country, she insists, is the second biggest cause of depression, as foreigners do not have the same support network. Another important factor that is incredibly damaging – reflecting societal views on mental illness and suicide – is the language we use. Supposed ‘throw away’ everyday terms such as ‘I just wanted to kill myself’ are loaded comments for people who have thought about killing themselves, or for those who have been through the trauma of losing someone to suicide. Along with ‘I’m depressed’ or ‘he/she is a nutter’ are phrases that have become the norm but unknowingly increase stigma. Social media has also shown to cause psychological stress. Many have blamed sites like Instagram and Facebook for the surge in teen self-harming and suicide. And it isn’t difficult to see why. Pages and forums dedicated to self-harming, ‘suicide games’, or eating disorders – where thousands share tips for hiding signs from family members – offer outlets for teenagers to feel part of a dark online community. Although they offer a place of refuge for many to normalise their feelings, these pages encourage dangerous self-destructive behaviour. It comes after a recent Children’s Survey report found that more than 100,000 children aged 14 in the UK are self-harming, with one in four teenage girls deliberately hurting themselves this year. The charity found that nearly a quarter of children aged 10-17 said they continuously heard jokes or comments about other people’s bodies or looks. The Olive Press has found numerous alarming and easily accessible Instagram pages dedicated to self-harming. Graphic images of deep wounds bleeding into sinks, hundreds of scars brandishing a girl’s wrist and piles of razor blades are just some of the shocking pictures discovered during the investigation. A pro-anorexia site promotes itself as a ‘diet and lifestyle programme for beginners’ and even offers the option to subscribe. It also sends tips on how to suppress hunger, gives recommendations of dangerous diet pills and even gives advice on how to hide vomit. An NSPCC spokesperson told the Olive Press that social media platforms such as Instagram should filter out content which breaks its own rules. “Young people on Instagram should never be exposed to this kind of harmful and distressing content. “We know from contacts to our Childline that many children are being driven to self-harm as a way of dealing with the pressures and demands of modern-day life,” she adds. 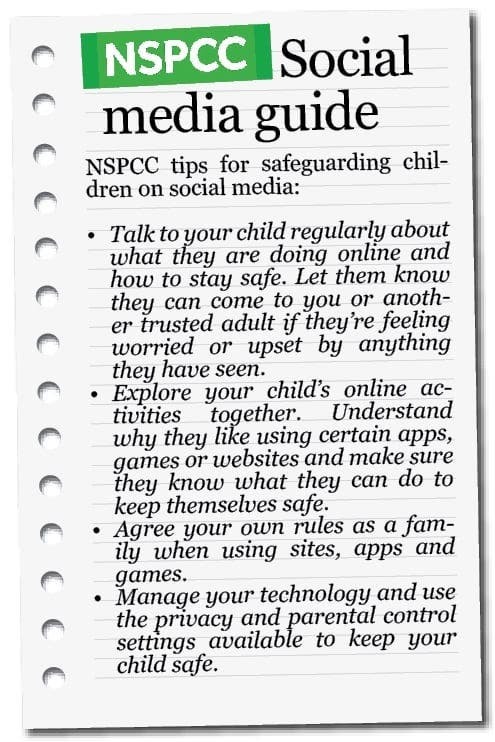 Recently the NSPCC launched its ‘Wild West Web’ campaign to call for stricter regulations on social media networks and bring in a law to fine sites which are not adequately safeguarded. Following the campaign, the British government announced safety laws will be brought in to keep children safe on social media and prevent dangers such as online grooming. 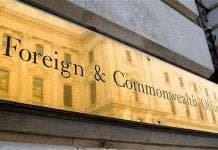 “It’s vital that the Government holds its nerve and commits to an independent regulator with the powers to hold social networks to account,” adds the spokesperson. But for Dr Hallin these terrifying pages are not a cause but an effect of mental health problems. 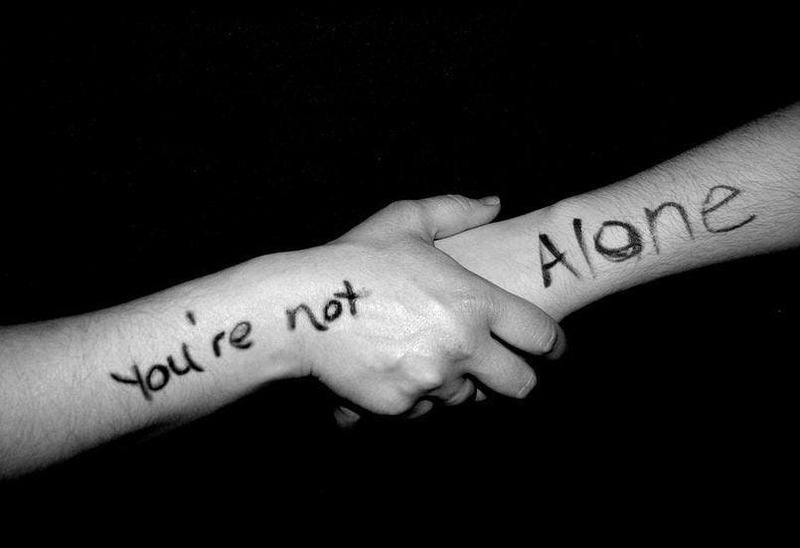 “Usually a person has already thought about suicide or self-harming before visiting these pages. They’re there if you go looking for them. The Olive Press has reported the shocking findings to Instagram. We have not received a response. 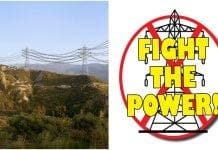 The social media argument is somewhat of a two-pronged attack. With more proximity to celebrities than ever before, it can be easy for impressionable teens to believe that re-touched images and collagen-injected lips are the norm. They are more dangerous than magazine photo shoots because these images are uploaded in real-time from a mobile phone, giving the impression this is really their ‘perfect’ lifestyle and that person looks flawless in real life. 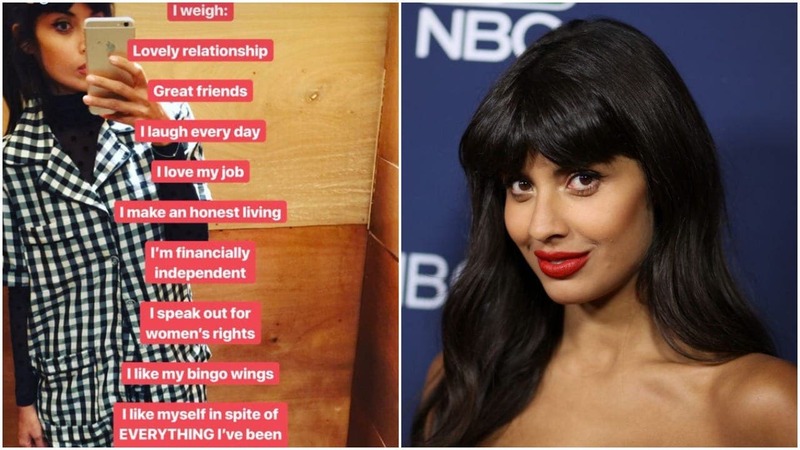 Recently British TV presenter Jameela Jamil, waged war on celebrity-endorsed products which claim to aid weight loss, such as the famous Flat Tummy Tea. Social media feeds are plagued with images of stunning celebrities flaunting their toned abs crediting the ‘teatox’ for their enviable figures. “Give us the discount codes to your nutritionists, personal chefs, personal trainers, airbrushers and plastic surgeons you bloody liars,” tweeted Jamil, who stars in Netflix’s The Good Place. Activist Jamil has been particularly vocal about her own teenage eating disorder where she ‘didn’t eat a meal for three years’ and slammed the media for the ‘weapon’ that is airbrushing. In a bid to fight back, the actress has launched the positive campaign ‘i weigh’, which encourages social media users to post images of themselves including words which celebrate their skills, talents, personality traits, differences and disabilities – something which has gained much media attention and public participation. 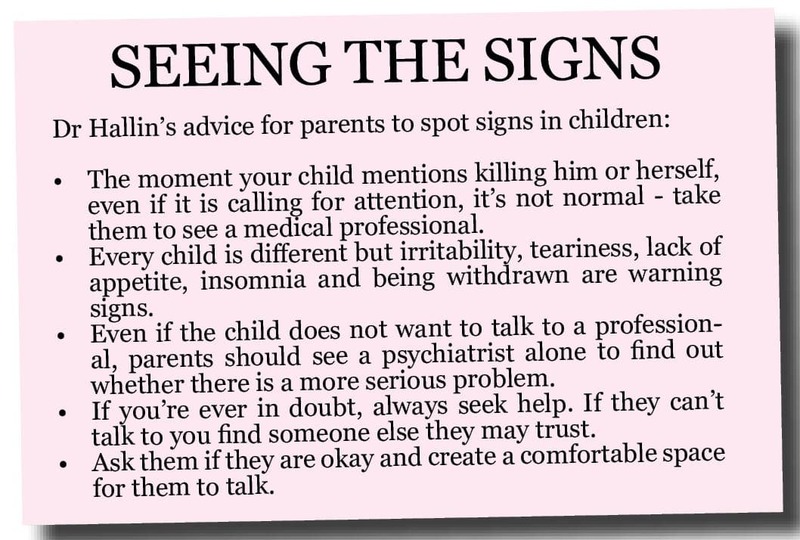 Given all of this heavy information, undoubtedly it makes sobering reading, but there is a lot parents can do to look for signs of depression in their children and safeguard their online activity. But the best piece of advice all experts offer is to talk more. Costa del Sol Darkness Into Light mental health campaigner Michael O’Halloran advises teens to act when they notice a school friend is acting out of character. There are countless organisations making an impact in the UK and Spain offering great support. A group, Teen Talk, is set to support young people across the Costa del Sol with hopes of creating new youth hubs, a helpline and community events from the new year. Global movement Darkness Into Light on the Costa del Sol and Costa Blanca promote suicide awareness and self-harm prevention through fundraisers and walks. The more we start to discuss and accept mental health, the more we will break down stigmas.